It doesn't matter what you put in the pipe, what matters is who you are with. But at these NY hookah bars you will find the finest hookah available. Taste the best hookah around during your night out with friends and experience a night that is different from any other night you have ever had. Karma is one of the best hookah bars in New York City and this comes as no surprise. The lounge displays beautiful and unique walls with painted pictures while the staff is always friendly and ready to tend to the customer's needs. Visitors can relax, eat and smoke as there is quite a large selection of tobacco to choose from. 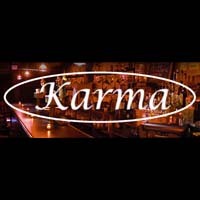 Karma offers daily live music played by amazing DJs who will heat up the atmosphere.